This post covers the ten most popular posts from The Mermaid's Den in 2017. Sometimes I have an idea of what's going to be popular while I'm writing it, and sometimes you guys completely surprise me! Let's take a look at the posts you loved in 2017. This was my most popular post, and it really surprised me. I thought it would be helpful, but I didn't realize how many of you were looking for a way to remove rust from your vintage sewing machines! 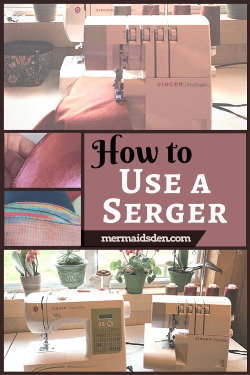 I've only written one other review of a contemporary sewing machine, and it didn't get much attention (see my review of the Singer Fashion Mate), so I wasn't expecting too much from this post, but it really took off. I really like how this project turned out, so I'm not surprised it was popular. 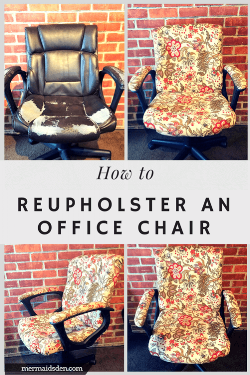 I have two more chairs I'm working on reupholstering, so watch for future posts on them! 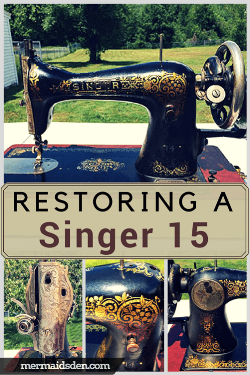 This post contains helpful blogs, videos, and tutorials on restoring vintage sewing machines. It's a great resource if you're just getting started! Last year, my post on the Singer 99k was one of my most popular, and this year, my post on the Singer 15 was well received. I included a lot of resources for common issues related to both machines, as well as tips on how to get the most out of them. I love free things, and luckily, there are a lot of public domain and copyright free sewing books. 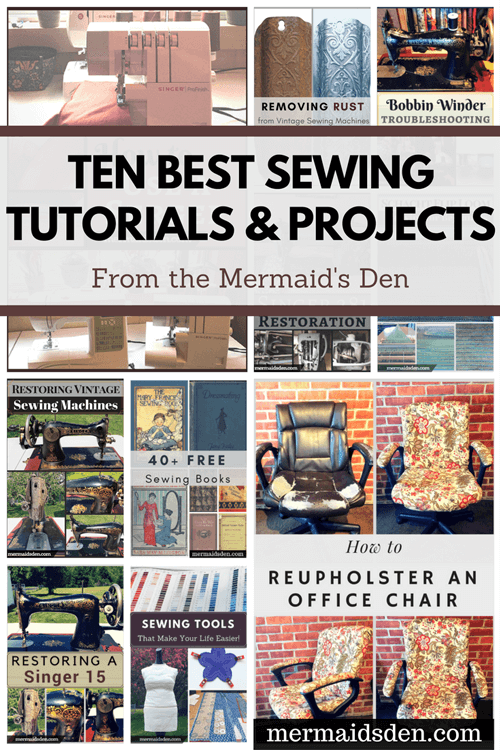 These are especially useful if you want to pick up tips for sewing antique or vintage sewing patterns. Along with my more comprehensive post on the Singer 15, I wrote a shorter post specifically on bobbin winder issues that you may encounter. This post was a lot of fun to write. I chronicled my first attempt at weaving on a Schacht Flip Loom. I keep meaning to do more weaving posts, but I haven't gotten to around to it yet. 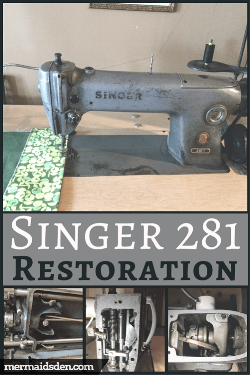 This post was a little more specialized, and I wasn't sure how many people would need information on restoring vintage industrial sewing machines, but it's proven quite popular. There isn't a lot of information out there on the 281-1, so I'm glad my post can serve as a reference for others. I've seen similar posts from others do well, so I knew this one had potential. And I like recommending my favorite sewing tools! 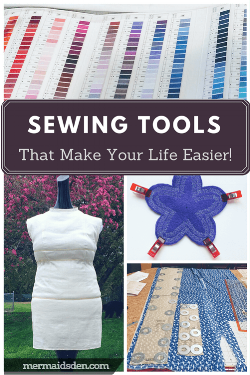 Having the right tools makes sewing easier and more enjoyable.